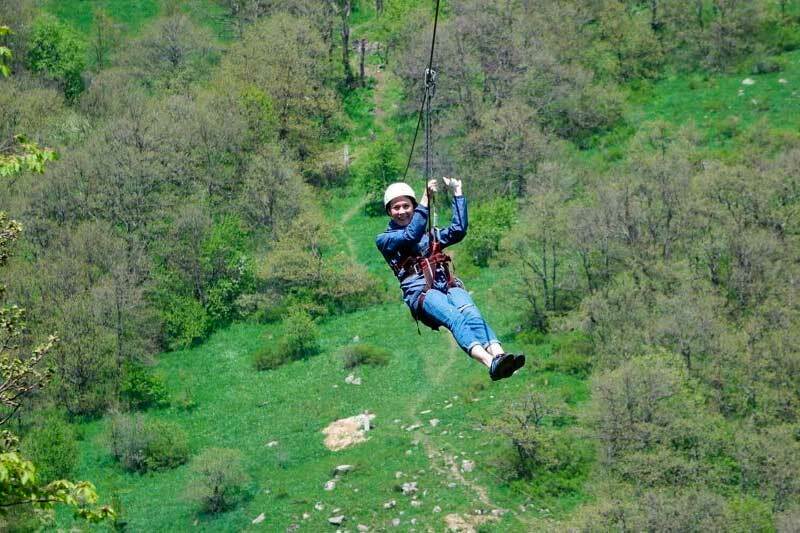 Zipline is one of the fastest growing destinations in extreme tourism both in the whole world and Armenia. 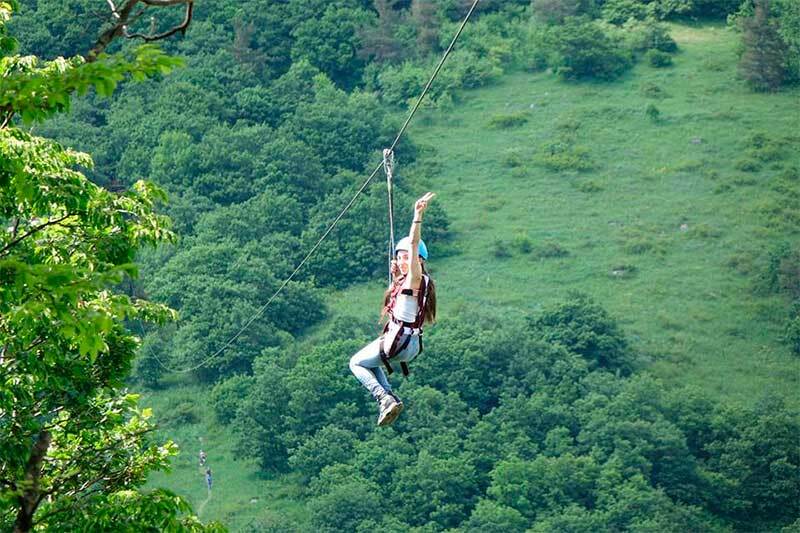 For the ones, who prefer active leisure zipline in Tsakhkadzor is open all year round. Here You can feel the pleasure of flying and enjoy the nature of Tsakhkadzor. If you are a lover of adventures, thrills or just want to overcome the fear of heights, then ziplining is exactly for You. A lack of adrenaline you definitely will not have here. The Location of Zipline, How to get there?" For the ones who are interested in extreme holidays in Armenia, unforgettable impressions await 60 away km from Yerevan in the city of Tsakhkadzor. From the center of Tsakhkadzor, the road leading to new emotions lasts only 5 minutes. Ziplining is available for any age, if Your weight doesn’t exceed 120 kg, and you are not under the influence of alcohol, drugs or psychotropic drugs. At the highest point, the height of the zipline reaches 130 meters. 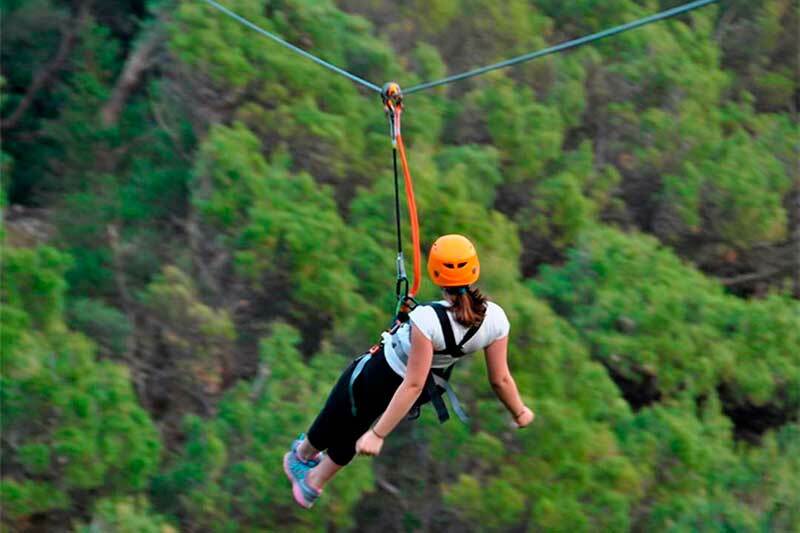 The price of a two-way ziplining is 10 000 drams, the total duration is 15-20 minutes. The price is not changed during the whole year and includes taking photos. Tsaghkahovit Hotel Complex is situated in the center of Tsakhkadzor, the most favourite tourist city of Armenia. From here You can walk to the ropeway, visit the sights of the city, Kecharis monastery and more, and reaching to the zipline will take only 10 minutes. We have everything for perfect holidays: comfortable rooms, warm atmosphere, bar, billiards room, restaurant. Moreover, the hotel's eco garden is a great place to be closer to the nature.